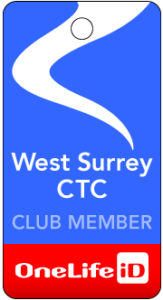 WSCTC’s AGM will take place on Saturday 21st October at 9.30am – please note the earlier start time owing to a prior booking at 12 noon. Arrive any time after 9am for complimentary tea or coffee at the Jack Phillips (Wetherspoons) in Godalming High Street. Ample parking in the Crown Court Car Park, GU7 1DY, to the rear of the pub.